According to a new market intelligence report by BIS Research, titled "Global Precision Medicine Market- Analysis and Forecast, 2017-2026", the global precision medicine market accounted for $43.59 billion in 2016 and is estimated to reach $141.70 billion by 2026. The market is expected to grow at a compound annual growth rate (CAGR) of 11.23% between the years 2017 and 2026, aided by the adoption of early diagnosis, increased number of adverse drug reactions cases, high prevalence of chronic diseases, and advancements in genetic science, among others. According to the Personalized Medicine Coalition, the market value of the targeted therapeutic drugs dependent on companion diagnostics was valued to be $25 billion in 2015. Also, the number of precision medicine or personalized medicine drugs that point to specific biomarker has steadily increased from 5 in 2008 to 132 in 2016. We focus on building long-term partnerships with our speakers, delegates and sponsors to ensure that our programs are not only relevant but connect to the real world limitations, challenges and opportunities faced by our customers. Through a significant presence in each industry and geographical market our events leverage the latest insights to ensure they remain relevant and practical in today’s business environment. Our speakers and delegates represent the leading innovators in their respective fields, with a thirst for knowledge and a willingness to share both their success and failures. Content steers clear of product placement and vendor showcasing to focus in on the real world examples of business processes and strategies at work in today’s most progressive companies. Meetings International is a global leader in producing high quality conferences, meetings, workshops and symposia in all major fields of science, technology and medicine. 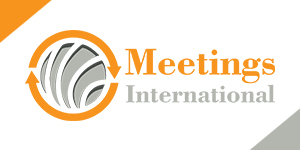 Since its inception, Meetings International has been associated with national and international associations, corporations and high level individuals, dedicated to host world class conferences and events. We, at Meetings International, focus on building long-term partnerships with our speakers, delegates and sponsors to ensure that our programs are not only relevant but connect to the real world limitations, challenges and opportunities faced by our customers. Through a significant presence in each industry and geographical market our events leverage the latest insights to ensure they remain relevant and practical in today’s business environment. Our speakers and delegates represent the leading innovators in their respective fields, with a thirst for knowledge and a willingness to share both their success and failures.